As 2013 draws to an end, we look forward to 2014. And with a new year, comes new resolutions – even for game developers. Japanese gaming magazine, Weekly Famitsu, asked 100 game developers what their key phrases resolutions for 2014 were. Take a look at what some of them had to say. Resolution: While the specs and services for home consoles have evolved, the mass popularization of cell phone apps has shifted the concept of playing games more closer to home. This may have led to package games getting a lesser share of the market, but it has also made customer concepts of values sharper. I hope that we can shake those values and make games to heat up the present and create fond memories. Resolution: It's good for a game to be easy to play, but isn't it a waste to be making computer games that only offer the same experience to everyone? I want to strive for games that offer a wide variety of experiences for players be it in action, changes through analog control, scenarios, strategy, etc. I think it's fitting for Acquire to keep creating games that are fun and different. If we could make this a year worthy of our 20th anniversary, I'd be truly happy. Resolution: I want to make a game that will make not only the players, but the developers and all the people involved happy. My goal for 2014 is to release The Devil's Third. This game isn't just a simple versus game, but a massive shooter that thousands can participate in. So my biggest job is to do a lot of beta testing before releasing the game and adjusting the game based on everyone's feedback. 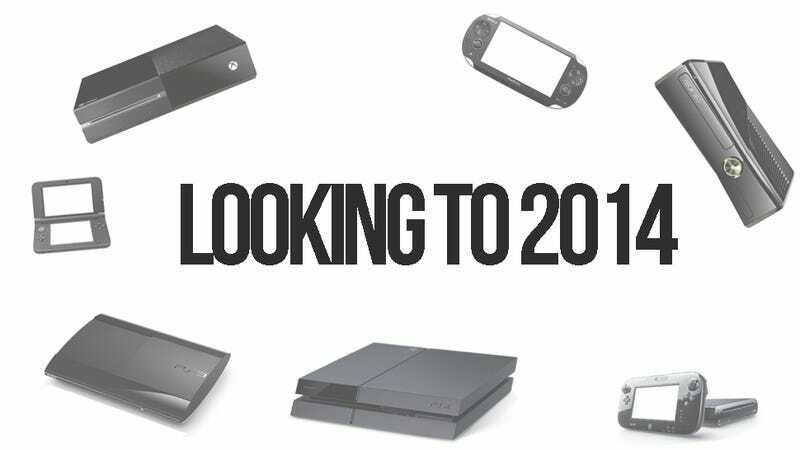 Resolution: I think 2014 is going to continue to be a tough year for the home console game market. I believe that live broadcasts on social network services and other opportunities for developers and users to interact will continue to increase, so I'd like to work on making games with my ear to customer opinions and viewpoints. Resolution: It's been 7 years since I got involved with developing the Street Fighter IV series and 8 years since I got involved with developing Monster Hunter Frontier Online. I've been developing community-building services for nearly a decade now. For 2014, I've got deep down and other unannounced titles, and so I hope to offer more services for people to enjoy the formation of communities. Resolution: To reach the deepest depth of the richest video game. Resolution: 2014 marks the 10th anniversary of the Samurai Warriors series, so I'd like to liven up the series. Much like every year, I will be involved with multiple titles, so I believe that how efficiently and how effectively I can maximize my abilities within the limited game development time will be key. I'd like give my all to every decision I make so that I have no regrets and can continue to make better games throughout 2014. Resolution: As a new generation of consoles enter the stage, the smartphone market continues to grow without any end in sight and I often hear gamers who dislike spending money with free-to-play games lament that "Everything about games is changing..." However, that simply means that there's now a system for one person, two people, or even 100 people to enjoy a game at the same time. We will aggressively take up the challenge of this new system, but we will continue to express our passion for package games even more than before. My key phrase is my resolution. Key phrase: "A new play experience" with the Tales series! Resolution: With the unveiling of Tales of Zestiria on December 12th, we were finally able to announce our 20th anniversary title. I along with the staff hope to work on development so that we can offer players this newest anniversary title with both the Tales series flavor and a new play experience. Please look forward to it! 2013 was a pretty spectacular year for gaming. Hopefully these game developers will keep to their resolutions and make for an even better 2014.